Dance AMAD offer Commercial Dance Classes, Lyrical Dance Classes and Freestyle Dance Class for kids and teenagers of all ages. Dance AMAD is teaching dance classes for kids since 2000. With dance classes in 2 locations in Balbriggan you can choose the area which is closest to you, or come to both and dance twice a week. Dancing is a great way for children to get out and meet new friends. Dancing is proven to increase a childs confidence, working on their coordination, motor neurone skills, combating obesity and improving their general health. Dance AMADs Dance classes for kids in Balbriggan has a pay as you go system. Therefore its perfect for that child who isn’t sure. Come along and try us out without getting locked into any big term fees. Dance AMAD charge only €5 per class and you can come as often or as little as you like. 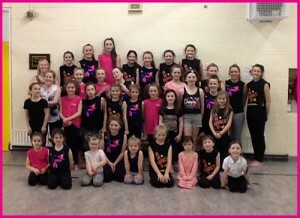 Dance AMADs dance classes run all year! Dance AMAD Dance classes for kids and teenagers of all ages. You can learn to dance Dance Moms style with Dance AMADs Lyrical Dance classes for kids, we also run Disco Freestyle Dance Classes as well as Hip Hop Dance Classes. Come along and join in the dancing fun. Click here to contact Mairead Today for more info!